TOKYO -- The earthquake that crippled Japan in March may cost Toyota Motor Corp. less than the rising yen. Operating profit for the world's top carmaker will be cut by 250 billion yen ($3.3 billion) in the year ending March 31 because of the currency's advance, based on the average estimate of five analysts surveyed by Bloomberg. The natural disaster may cost 160 billion yen, Toyota said in August. "There is pent-up demand and with production back to normal, Toyota can quickly make up for the reduction in output due to the quake," Issei Takahashi, a Tokyo-based auto analyst at Credit Suisse Group. "It's more of the reality of the strong yen that Toyota needs to tackle." Toyota produces two out of five vehicles in Japan, making it more vulnerable to the yen than Nissan Motor Co. and Honda Motor Co. The currency's climb, to a postwar high against the dollar in August and the strongest in a decade versus the euro last month, is an added headwind for Toyota, which was outsold by General Motors Co. and Volkswagen AG in the first six months of the year. "We are struggling," Toyota's Chief Financial Officer Satoshi Ozawa said Oct. 10 at the automaker's factory in Ovar, Portugal. "We are facing a difficult time. We have to reduce our production costs to compensate for the currency situation." That may involve shifting manufacturing from Japan "to some extent," he said. Toyota is telling parts suppliers to slash prices or face being replaced by overseas rivals, according to four people involved with the discussions. The automaker made the demand for price cuts at the end of August to its 219 largest domestic suppliers, including Denso Corp. and Aisin Seiki Co., at a meeting held in Nagano prefecture, according to the people. 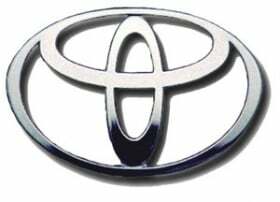 Every one-yen advance against the dollar cuts Toyota's operating income by 34 billion yen, while a gain versus the euro reduces operating income by 6 billion yen, according to the company's full-year forecast in August. Toyota is basing this year's forecast on 80 yen to the dollar and 116 yen to the euro. The yen traded at 76.66 to the dollar on Tuesday, extending this year's gain to 6.1 percent. The Japanese currency has risen 4.3 percent in 2011 against the euro, which traded at 104.25. Toyota made about 45 percent of its cars in Japan last year, compared with 25 percent for Nissan Motor Co. and 26 percent for Honda Motor Co.
Honda expects a 71 billion yen cut in operating profit while Nissan sees a 135 billion yen reduction because of the yen's climb this year. Japan's government needs to establish "a normal exchange rate," Carlos Ghosn, Nissan's chief executive officer, said on Oct. 6. The yen is expected to trade at 79 yen to the dollar in the year ending March 31, according to the average of 43 analyst forecasts compiled by Bloomberg. "Sooner or later, Toyota will have to revise its forecast," Kohei Takahashi, an analyst at JPMorgan Chase & Co., said in a phone interview. Toyota said Aug. 2 it expects the strong yen to cut operating profit by 160 billion yen in the year ending March 31 to 450 billion yen, compared with an earlier forecast in June for a 100 billion yen drop. The carmaker put the one-time cost from lost production of 150,000 units after the quake at 160 billion yen. Credit Suisse estimates the yen impact at 260 billion yen, TIW sees a 350 billion yen cut in operating profit, JPMorgan estimates a drop of 200 billion yen. Citigroup Inc. and Carnorama predict declines due to the currency at 238.4 billion yen and 200 billion yen respectively. Toyota temporarily halted all production after the magnitude-9 earthquake and tsunami on March 11 triggered a shortage of parts and electricity. The resulting cutbacks caused the automaker to fall behind GM and VW in global sales in the first half of the year. Toyota and subsidiaries Daihatsu Motor Co. and Hino Motors Ltd. sold a combined 3.71 million vehicles worldwide in the first half. GM sold 4.54 million cars and light trucks, while VW sold 4.13 million vehicles, according to statements by the companies. The Bank of Japan last week held off adding more monetary stimulus. Governor Masaaki Shirakawa and his policy board members unanimously kept the overnight lending rate between zero and 0.1 percent at a meeting in Tokyo Oct. 7, the central bank said in a statement. They also left credit and asset-buying programs totaling 50 trillion yen unchanged, while extending a loan program in earthquake-affected areas. Shirakawa called existing easing measures "powerful." Toyota reported global production in August rose for the first time in 12 months, showing the automaker's return to normal production. Output in August rose 10.6 percent to 626,817 vehicles, the first increase since September 2010, when the government ended subsidies for fuel-efficient cars. The automaker has pledged to maintain domestic production of 3 million units. Still, Toyota lost market share in the U.S. and expects dealers' inventories to return to pre-quake levels by March, according to spokeswoman Amiko Tomita. Held back by tight supplies of Prius hybrids and Tundra pickups, Toyota's market share fell to 11.5 percent from 15.3 percent a year earlier in September, according to researcher Autodata Corp. "Toyota needs to quickly come up with a strategy to maintain its earnings," said Satoru Takada at TIW. "It doesn't seem like the yen will weaken anytime soon."